Many of today’s dedicated tea drinkers will be familiar with Redbush. What they may be interested to know is that Redbush has its roots in the tea plantations of South Africa where it is more familiarly known as Rooibos tea. In its native country, Rooibos tea has been grown and harvested for generations to provide a soothing, refreshing drink to enjoy on the veranda in the shade from the baking sun. 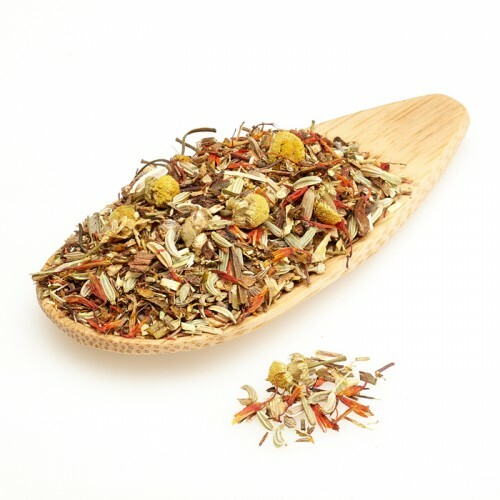 Just like Redbush, Rooibos tea is renowned for its sweet, fruity taste and woody aroma, which may have become infused into the leaves by the many times it has been drunk around a campfire while listening to singing along to a guitar or sharing stories of life on the vast and rugged South African plains. Rooibos tea is sold loose leaf and when combined with near boiling water it produces a warm ruby colour. Rooibos is best served after being allowed to brew for up to 10 minutes to provide a refreshing and caffeine free source of relaxation in a cup.